I do not know about you, but the next 14 days will surely seem like trying to get that last drop of molasses out of that stupid bottle. For as the climax and celebration of Super Bowl is finally beginning to get out of our ears and thoughts, now the baseball world begins to get their Spring priorities right and think of the American Pastime. With the last bit of cool crispness in the air, it will be time to pound a few dozen balls into newly oiled mitts and try out a few new pitch variations, and hopeful improvements. 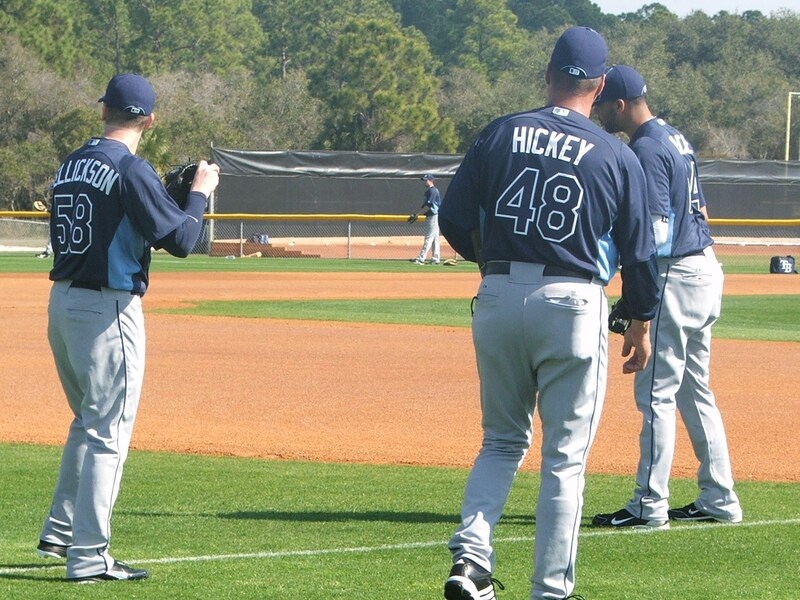 14 days until the Tampa Bay Rays again try to mess up the status quo among the American League East. 14 days until we see what Rays starter Jeff Niemann has up his sleeve to make this team fall in love with him again and possibly jettison another piece of the Rays rotation puzzle to a destination unknown. Or will the magic that Rays rookie Matt Moore displayed in late September and October translate into a slot on the MLB roster, or a few months vacation in Durham until Niemann’s first anticipated soreness issue. This could only start a countdown for Rays SP Wade Davis too as teams are watching his every move as the Rays are surely going to have to make at least 1 painful starting pitching decision before the Rays Opening Day on April 6th. 14 days until we find out if new Rays RP Fernando Rodney will take a moment with Rays starter James Shields and try to get a fresh prospective and grip on his Change-Up. Shields would seem to be the perfect candidate for Rodney to chum up to considering his variable speed pitch is considered one of the best in the majors. 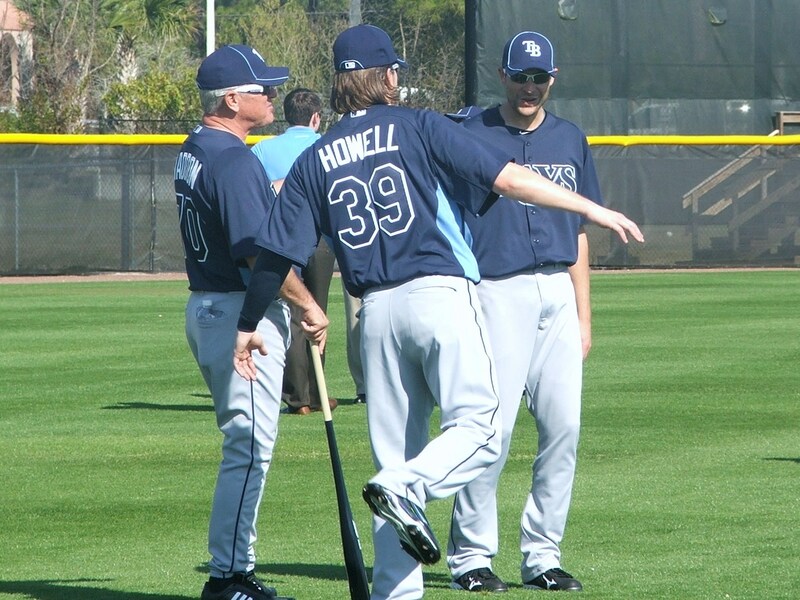 14 days until we see if the off-season was the time needed for Rays leftie J P Howell to again become “the Dude” providing long curves and a renewed vigor and vitality to his fastball, possibly topping 89 MPH by the season’s start. I truly hope and want Howell to have a revitalized Spring, or he might be re-named “ The Dud”. Along with Howell, there is considerable chatter on if the Rays will again hold onto 3 southpaws which could mean a trip to the minors or elsewhere for fellow left-handers Cesar Ramos ( no options) and Jake McGee (1 option). 14 days until we see who out of the Rays young backstop stable of Jose Lobaton or Robinson Chirinos want the Rays back-up gig and produce defensive gems and offensive dreams from a position with loads of talent, but lacking in MLB catching experience. That will also be the moment we see just how much in the gas tank for “the other Molina” Jose. Will he excel at the Rays weak spot in the batting order, or become another Rays casualty destined to watch the young bucks get the starts while he mends. 14 days until we see the sophomore effort of Hellboy take place. 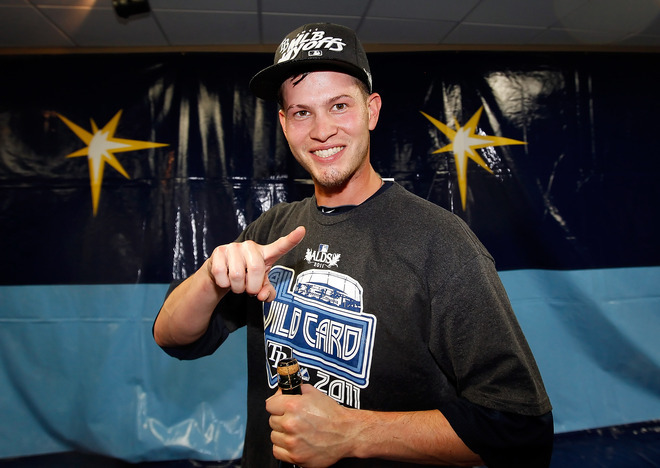 Will he again find his demonic rhythm that had everyone in baseball envying the upstart Rays? Can Hellboy improve on his walk to strikeout ratio, and more importantly improve on his ground ball ratio to let his great defense behind him help him gain victories and accolades. Will the young right-hander finally become comfortable in his 3-slot knowing he can be a series exclamation point behind the two top aces, Shields and David Price. 14 days until we see if Price can gain some consistency by not trying to change grips during a game and totally trusting the grips that got him to points in games without diverting from the game plan by toying with his art. 2012 will also be the season where Price can either gain a foothold on immortality by posting numbers worth of his new salary and being that stop gap starter that should be the Opening Day starter and player who can get that needed win. 14 days until we can see if the “B-brothers”, RP Brandon Gomes and ex-Fish Burke Bradenhop can secure roster spots with an impressive Spring. Also on our minds firmly in 14 days will be the talent escalation of the 2 “Alexs”, Cobb and Torres. Each throwing from a different side, but each wanting a roster slot and a chance to show their worth to the Rays this Spring. Coming into the Spring it seems Gomes has a clear shot, but as we all know, things can change before the calendar changes to April. All 4 players mentioned in this paragraph have minor league options, and the Rays could play a game of “mix-and-match” early on during the season with any of the 4 spending time both in St. Petersburg and Durham. Also firm in the Rays Republic’s mind is the elbow health of Kyle Farnsworth who put up career numbers in 2012, but had a few episodes with soreness that some thought was a pre-cursor to possible Tommy Johns. 14 days the Rays will see if his off-season rehabilitation and strengthening program brought results or more of the same. I truly think the Rays have aligned themselves with 3 closers now, who could all be used in certain situations and firmly close the door on the opposition. Farnsworth and Rodney might have the early nods, but I truly think Joel Peralta is going to be the thunder under the dome this season. 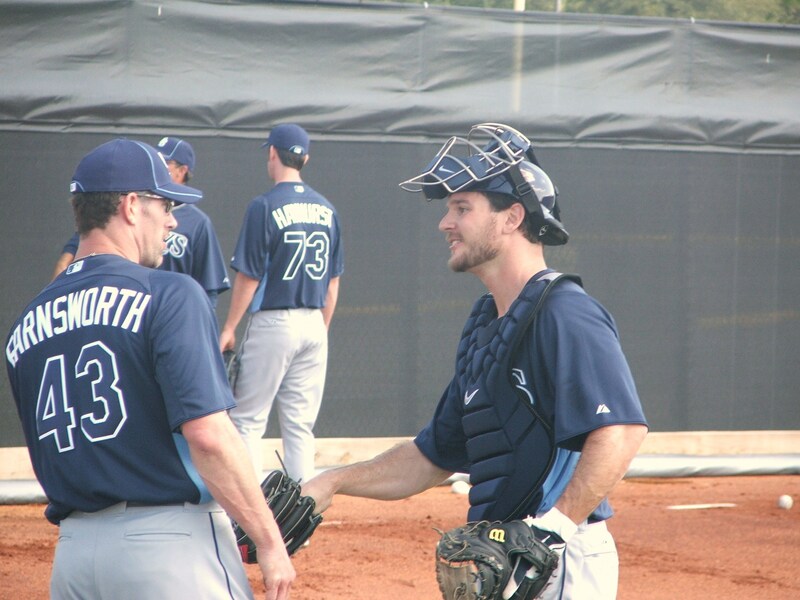 I saw a spark of it late in 2012 when Farnsworth sat due to his soreness, Peralta showed beyond a shadow of a doubt he could inherit or be destined as the Rays closer. I thought he might ascend to that spot in 2011, but in-synch with Farnsy, the two became a consistent 1-2 late inning punch for the Rays. 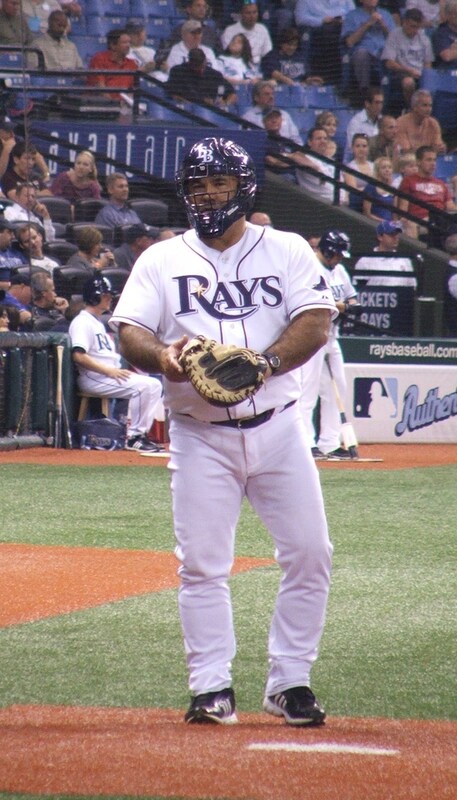 14 days when I will be personally sad not to see former Rays Bullpen Coach Bobby Ramos giving off a loud belly laugh as he heads to the practice fields. It will seem odd, but new Bullpen Savant Stan Boroski not only has the credentials, but the familiarity with this Rays staff moving from his Assistant Pitching Coach role to an on-the-field mentor to the Rays staff. 14 days until we see if young catching prospects Nevin Ashley and Stephen Vogt can turn a few Rays heads, possibly moving their own name up the Rays depth chart with impressive Springs, maybe even outing one of the present favorites for a back-up role. Ashley and Vogt have the offensive chops to be with the Rays, but with the catching corps becoming clouded in 2011 with extra pieces and rehabbing players, they might have slipped out of the Rays minds as future weapons. 14 days until at 10 am the gates open and we embrace “officially the Rays 15th season in the Bigs. 15 years where coming into this point in the season there were tons of questions with few answers. This season there are tons of answers with clarifying questions dotting the landscape…for now. Port Charlotte comes alive when the team get back into town. The sky seems bluer, the air has a nice crispness to it and the grass awaits their footprints. 14 days until we can again firmly boast, and await our 2012 Rays. Look, already 15 minutes closer as you finish reading this post. 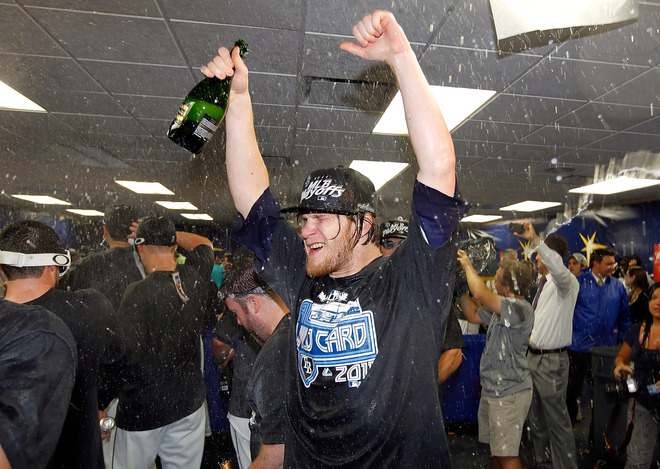 It just will not have the same vibe or be the same without him down in the Tampa Bay Rays Bullpen. 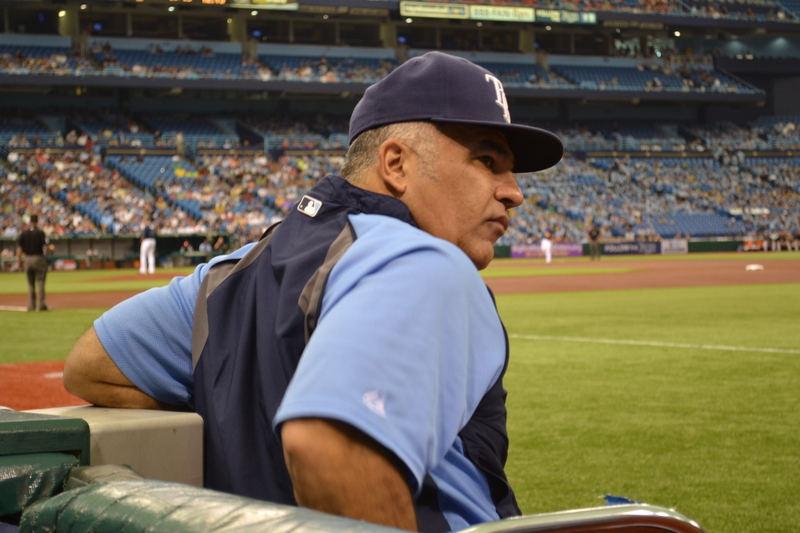 Something just seems so wrong about Rays Bullpen Coach Bobby Ramos not sitting right in front of the Bullpen enforcer Scott Cursi telling tales to Cursi and Rays Security Guard Grady. The Bullpen has lost its special mojo, it’s worldly moving and grooving to it’s own invisible beat. I am truly going to miss seeing my baseball buddy Ramos when the Rays come home for their last regular season home stand. It just seems like forever that Ramos again came back into the Rays fold and has stood and talked to me and other Rays fans, but Ramo’s health should be our first concern. For a healthy Ramos is a dancing Ramos, and the “Sugar Bear” has that special Salsa groove going on down there. Some of the Rays Republic might not have been in tune with the upper respiratory infections and ailments Ramos has been battling for most of the 2011 season. The degree of their severity has made Ramos miss multiple games, and taken him away from the Rays sidelines a few times this season. His ailments have taken Ramos away from the guys he loves hanging around nightly down in the Bullpen, and away from adoring fans who shout out his name at all points in the game. 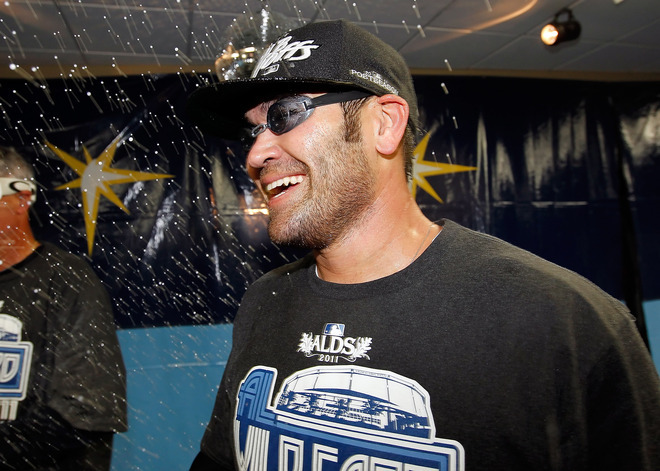 Gone will be that special impromptu dancing of “the Motorcycle”, vacant from our eyes will be the playful joy and excitement Ramos expelled nightly in his role as the Rays Bullpen Coach. 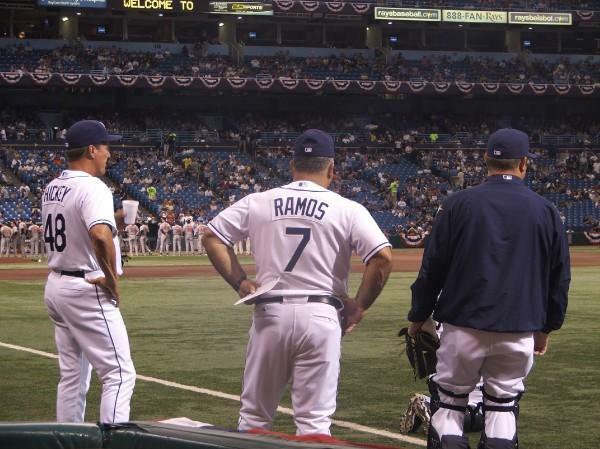 When there was not a Rays reliever warming up on the mound, Ramos held court like no one else. His overly aggressive mannerisms huge laugh and spontaneous motions made every Rays game worth the price of admission for me. I enjoyed every moment of watching, listening and knowing another side of the Sugar Bear. When the Rays held their recent “Tweet In”, Ramos had just come back off another bit of rest and relaxation for an upper respiratory situation and was feeling not 100%, but more than excited to again patrol the Bullpen Mound. He was anxious to again hold court with Rays fans who always make a pilgrimage to the Rays Bullpen to see him and just chat for a moment. I have come to realize over the last several seasons, Ramos has always been more than just a Coach in the Bullpen, Ramos is that glue that binded this motley crew together. During the “Tweet In” I sat right between Ramos and Cursi and we talked a bit about the medication mix-up, the nasty bouts of coughing and how Ramos felt an absolute discomfort like one of his players was sitting upon his chest when he laying down at night. Every tales and story told made me want to just put my hand upon Ramo’s barrel chest and purge the demon seed out of him forever. In the end my baseball friend is one of a small handful of people I have the utmost respect for within this Rays organization. Bright side is that Ramos is getting healthier. I have heard more than once over the past few years that Ramos will be calling it a day and hang up his uniform for good possibly within the next couple of years. I truly hope and pray to every deity in this universe that Ramos come back again, for at least a “Sugar Bear Farewell Tour” in 2012. Heck, some of the short discussions I had with Ramos down by my seat before games were some of the best in my professional and personal life. So hearing that he is not going to be at the Trop for the season finale, but lounging back in Miami with his family relaxing and resting getting fit and healthy again. I am glad Ramos is recovering. So happy someone finally has pinpointed that dastardly bug or virus that has plagued Ramos for many a Rays road trip, especially when they ventured into cooler climates. I am saddened that Ramos is miss all this great drama and watching this post season magic unfold from usual Bullpen throne. That text messages, phone calls and a big television screen will be as close as he can get to watching this magical run come to fruition. If the Rays do make the post season it will still hold untold magic for me, but I will miss enjoying it with a friend who has always made sure I was doing fine, and life was treating me right. I know right now you are probably relaxing down in Miami, talking with old friends, surrounded by loved ones and just feeling groovy. You know I wish you the best old friend, but the games do not seem the same without your special touches. 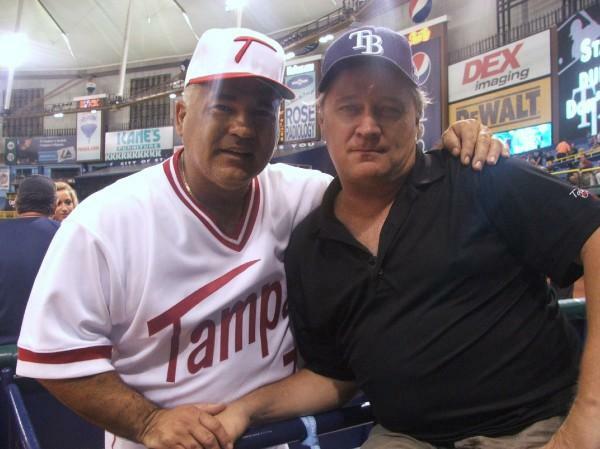 Get well my baseball friend, the Rays Republic seems smaller without you. Most Tampa Bay Rays fan might not remember the days when Ringling Brothers and Barnum Bailey Circus used to have their first shows of the year right here in St. Petersburg after leaving their Winter quarters in Sarasota, Florida. The railroad track spur that slide right by Ferg’s and sit just a outfield throw to the North of Parking Lot # 6 used to accommodate the big cats cages and the elephants before their annual stroll down First Avenue South towards the long gone Bayfront Center. Sunday night truly had that air of being a 3-ring circus, and not just because Cirque de Soleil greeted fans in the rotunda with tricks, quips and even a bit of pantomime, there was just that sense of anything happening at any time. 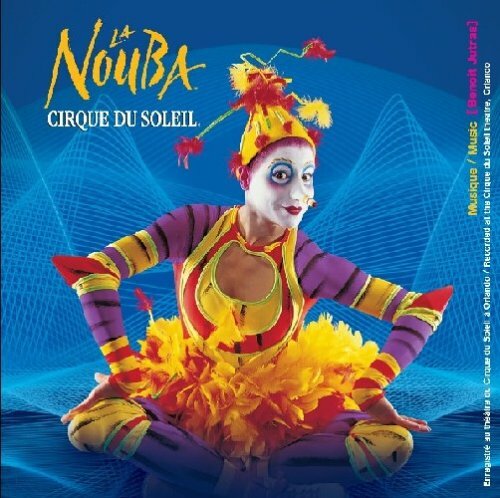 From the first moment the performers of the La Nouba troupe made their way onto the Trop’s turf, suspense and excitement was on the menu. Who in their right mind could have predicted, fantasied or even daydreamed the unfolding of the electrified events that were to escalate and vibrate the crowd way past the surrounding tavern’s closing times. The journey definitely reminded me of those first Circus shows of the season, only thing missing was Rays In-Game Host Rusty Kath with a top hat and a sparkling tux. 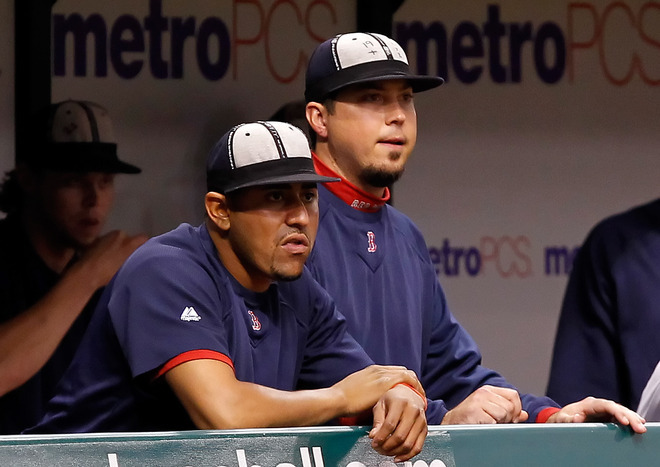 We saw grown men becoming starry-eyed boys for a moment as the Boston Red Sox bench went back to their Little League roots and sported their “ rally caps”, and even had a rare sighting of Rays Bench Coach Dave Martinez and his trimmed mane both get thrown out of the game on a play that did resemble a bit of frustration and stupidity. All in all if you took your eyes off the field you were surely going to miss something. Fitting we have a circus act perform the night Jeff Niemann who does resemble Toys R Us icon Geoffrey the Giraffe, post up one of the best performances of his career. Not only did the Tall Texan silent the Red Sox offense with only 2 hits, he also sent 10 grumbling back to the visitor’s dugout via the strikeout. Then you had Rays resident Roy Hobbs imitator Sean Rodriguez take out not an outfield light pole, but a hot light situated just above the Third Baseline in classic “The Natural” cinematic form. Was kind of humorous for a moment seeing Rays Third Base Coach Tom Foley move faster than he has in years to escape the heated filament and glass particles. Thank goodness the action did not leave anyone with an injury, just a story for the ages. But that was the second time a ball had hit one of the infamous catwalks in this ESPN Sunday Night Baseball broadcast that showed the entire Nation the heart and spirit of both these teams. Did you know the Tropicana Field cleaning crew did not punch out until 9:20-ish on Monday morning. 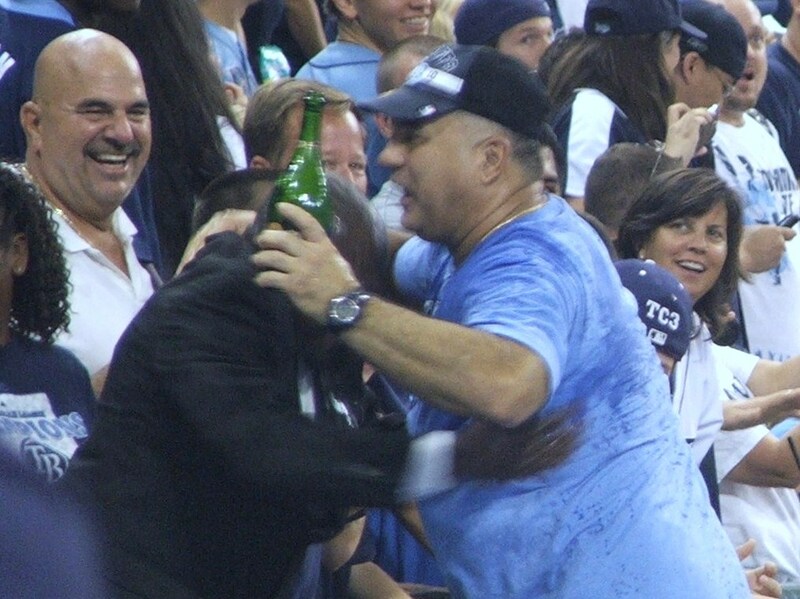 Seriously, from the fan jumping on the field trying to be part of the ESPN experience, and instead being face-planted into the fine grass blades of the Trop., you really couldn’t take you eyes away from the madness. The best part of the evening was seeing that intensity, that energy level ebb and flow all night long like the Tampa Bay tides. It was a Sunday Fun Day, and definitely if you wanted your money’s worth, you got it on Sunday night. Niemann threw his first pitch at 8:10 pm, and there was no indicator of the barrel of fun to come…ending some 5 hours and 44 minutes later. 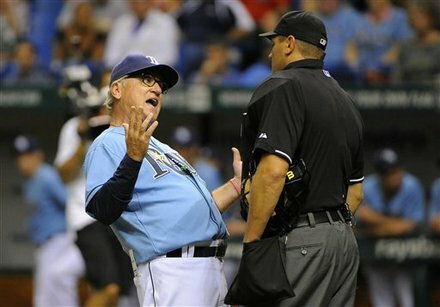 But Rays Manager Joe Maddon was the first to exit the building at 11:55 pm after arguing a checked swing call, being sent to the Clubhouse. Twice the Rays saw their leaders sent to the showers, not early, but late as Martinez got his exit toss at around 12:04 am on Monday. Game became so exhausting Rays broadcaster Brian Anderson, who had the night off because of the ESPN telecast fell asleep at 12:45 am during the lucky 13th inning. 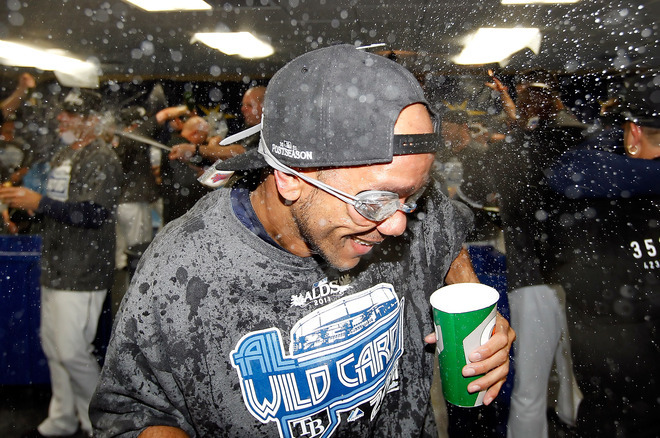 Even though Rodriguez brought about his “the Natural” moment, several times during this marathon games guys like Evan Longoria, Reid Brignac and even Matt Joyce had chances to put this thing to bed before midnight. The most dramatic might have been the pinch-hit by Joyce who had been sidelined by a knee swelling incident and could have had his own Kirk Gibson-style moment. Unfortunately Joyce. Longoria had a chance to break a few television viewing Red Sox hearts in the bottom of the 9th, but ended up hitting a ball to the shortstop for the first out in the bottom of the 9th inning. Longo then came up with two outs and two men on base and hit a routine fly ball to Rightfield to take the game into extra innings. Briggy Baseball has the last effort for the Rays at around 1:54 am as he grounded out to put the longest game in Rays history officially in the record books. Even though the home side had to go home with a losing effort, this is a firm indicator of the fight and drive within the Rays that could be beneficial in the near future. We had exploding halogen lamps, superb pin-point pitching by both squads, and saw the giraffe take another step forward in his evolution. We saw balls juggled then fired towards the plate with a perfect break on it, and a single to Rightfield break the Rays hearts. The only thing missing was that awe inspiring top hat and tux while Rusty was doing his game day shtick while barking into his headset The Trop has 4 rings in its roof system, so maybe it going into extra innings made sense of this circus-inspired night. Oh, and we had a brown bear down in the Bullpen (Bobby Ramos). With some of the after effects of the 2011 New Years celebration still pumping in our hearts and minds, it is that cherished time of the early year for all of us to solidify our midnight resolves and begin embarking on the tedious task of now trying to keep our promises. Some of us at the end of the countdown professed to transform ourselves with hearty and healthy vows to lose weight, cut back on certain foods, or maybe eliminate a unhealthy or dangerous habit like smoking or texting while driving. Then there is that other group side of the resolve coin that wants to initiate goals to help humanity and possibly try and “pay it forward” by helping those less fortunate or being more “green” in our every day lives. Or possibly you are one of those people who really got excited when the thought of ecology was mentioned in classes and looked beyond our own visionary limitations to evoke a personal challenge or make a mental proclamation to enhance some external segment of this World’s by cleaning up a creek or riverbed or possibly helping bond in our communities building safer playgrounds for our next generation. 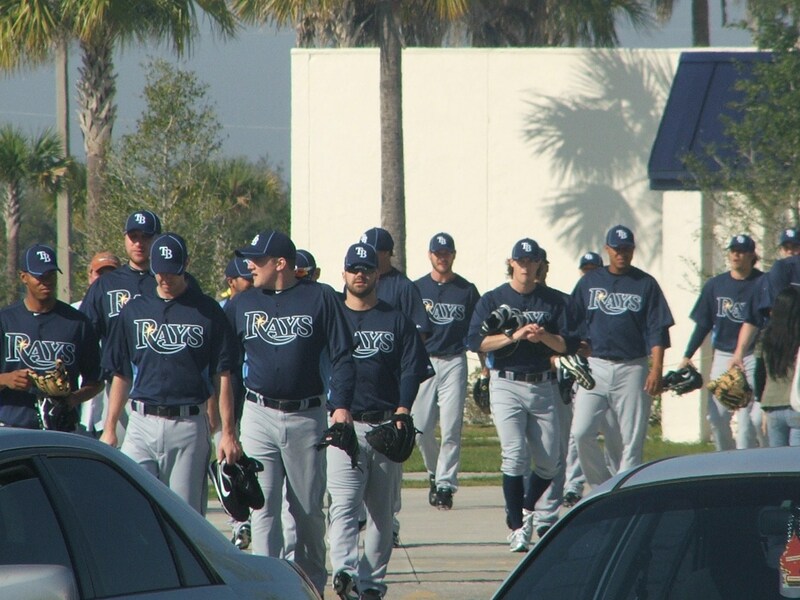 So on this first day of 2011 I thought it might be fun to try and make a few resolutions in the baseball sense for certain members of the Tampa Bay Rays. 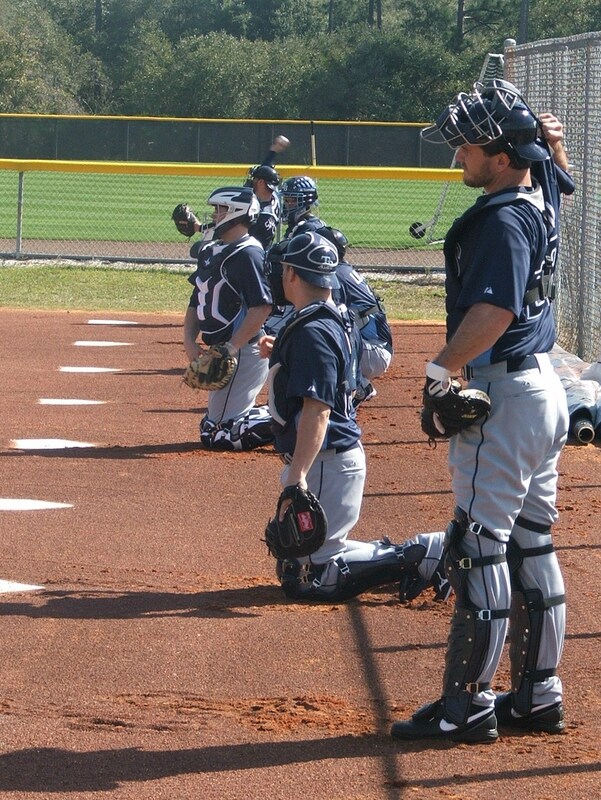 With pitchers’ and catchers’ set to begin reporting to their Rays Spring home in Port Charlotte, Florida in just 43 days, it is time to again bring our focus towards the 2011 season. 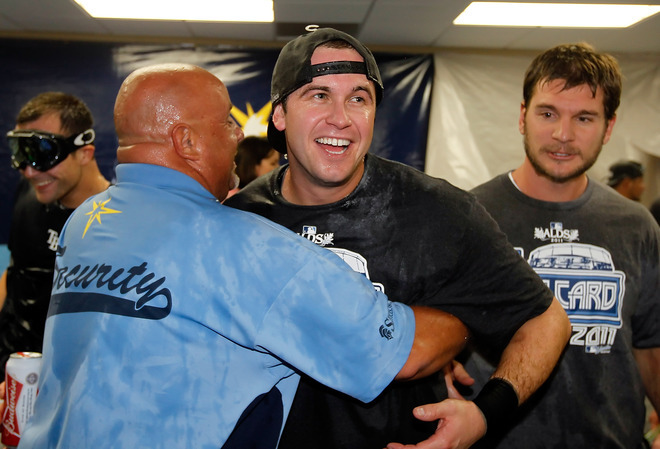 Evan Longoria: My resolution to you is to become the strong presence in the Rays clubhouse that evokes and proclaims the true meaning of the “Rays Way”. To take that next huge step to providing a dose of your own leadership ability that will ultimately mix with your teammates to concoct the perfect Rays team chemistry for 2011. Secondly,if you find the guy who stole your cap and give the Rays Republic his name….We will take care of him. David Price: My resolutionfor Price is pretty simple. Retain that same focused and calm persona that you have projected both on and off the mound. To accept the honorable challenge of being a bigger piece of the Rays puzzle while retaining a high level of confidence that your team is behind you in victory, or in defeat. In addition, if you need a ghostwriter for a possible book on Pho eating establishments throughout the MLB cities…you know where I sit, and I work cheap (possibly for a steaming bowl of Pho). B J Upton: I know this onemight be hard. I want you to finally let yourself go and go with the flow. Do not hold yourself so accountable for not achieving perfection. It has sometimes hastened your downfall as you tinkered, wallowed and self manipulate yourself into slumps, funks and a bad decisions. Woooo Saaaa! Secondly I wish for your community/charity efforts to be fruitful. You are one of only a handful of Rays players who’s community interests (BJ’s Bunch) has opened to the Rays Republic another side of you that is sometimes hidden by game day bravado. 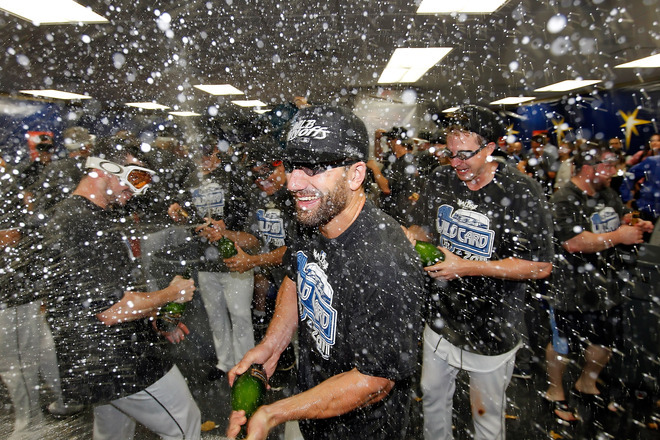 James Shields: My resolution for “Shieldsy” is to simply take a step back. Maybe by stepping back you can redefine that skill set that got you here to fully reclaim your spot as the Rays “Ace”. As a two-time Rays Roberto Clemente Award recipient, the continued success of the “Heart Gallery”. I hope more baseball fans around the country in 2011 learn about this photographic and audio exhibit that helps kids in foster care find great family environments. John Jaso: My resolve for you is to keep that internal competitive fire at its optimal level. Your rookie season showed the Rays Republic that your bat and your defense took major strides skywards. Secondly, to provide inspiration to kids in Tampa Bay that an athlete can be book savvy and math friendly and still compete at the highest level of the sport. Most people outside of Tampa Bay do not know about your love of numbers and analytical equations. Reid Brignac: My resolution for “Brigs” is to take the baseball and just grip it and rip it this season. 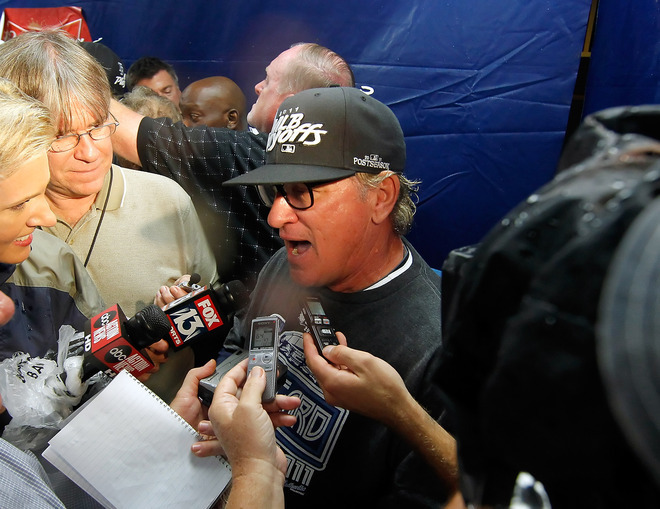 You have the confidence of Rays Manager Joe Maddon that you can be the vital keystone in the Rays defense. It is time for you to make the rest of the baseball world to take notice and become believers too. Secondly, we have to find someone else, possibly Bullpen Coach Bobby Ramos to teach you to dance. Doing the “Dougie” for the cameras during the Rays postseason celebration made most of us cringe and wish you did the “Carlton” instead. Matt Garza: This resolution is that you find that internal “happy place” for the entire season. That the events that have put extreme pressure on you in the past will find a path to melt away. Your talent will only be stopped by your own actions and reactions. Second resolution for you is to somehow eliminate your bad habit of licking your fingers after you grip the resin bag disappears. Resin doesn’t taste good, has no nutritional value, and has solidified that “spittin’ Cobra” moniker. Maybe Price can get you a pail of Double Bubble for 2011. J P Howell: My resolve for you is that you come back as the “Dude”. With that high spirit and confidence on the hill that made you a fan favorite. Even though we might not see you until May, you can be a key member of the Rays Bullpen by bringing your calm nature and competitive fire into the fray on a nightly basis. We really did miss you in 2010. Secondly, that your charity “Discovery Your Path” which includes the “Healing Hearts Foundation” that helps children and youth facing difficult situations to find the mentoring and life path guidance needed to achieve a meaningful life. 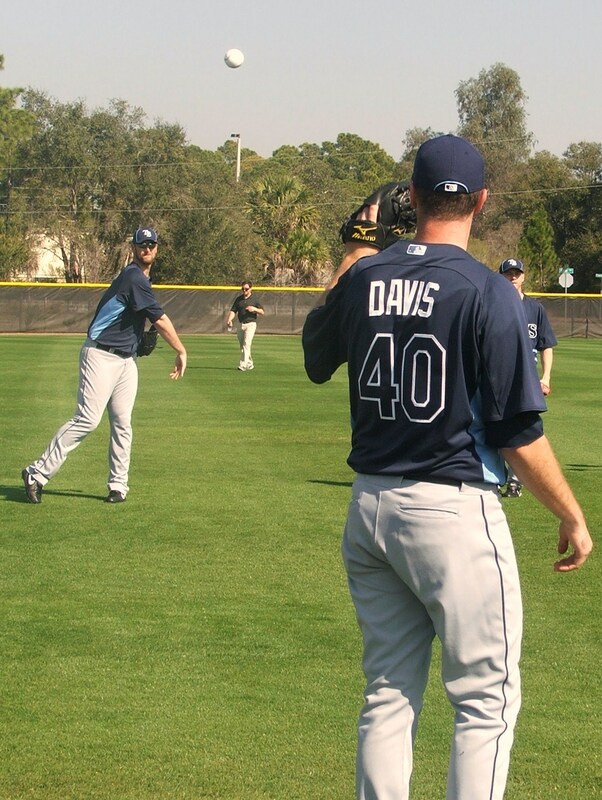 Wade Davis: My resolution is for WD-40 to simply just grow into his MLB skin and experience more success in 2011. Some critics were very vocal about Davis throughout the 2010 season. But in reality, Davis posted a better 2010 rookie campaign (12-10 4.07 ERA 113 K’s) than Price’s rookie 2009 campaign (10-7 4.42 ERA, 102 K’s). The second part of the resolution is for Davis and his charity, “Pitch In For Baseball” which accepts game used baseball equipment and distributes them to underprivileged children to finds more success and Nation-wide acclaim. Jake McGee: My resolution for McGee is that he takes the critical next big step in his Bullpen transformation. 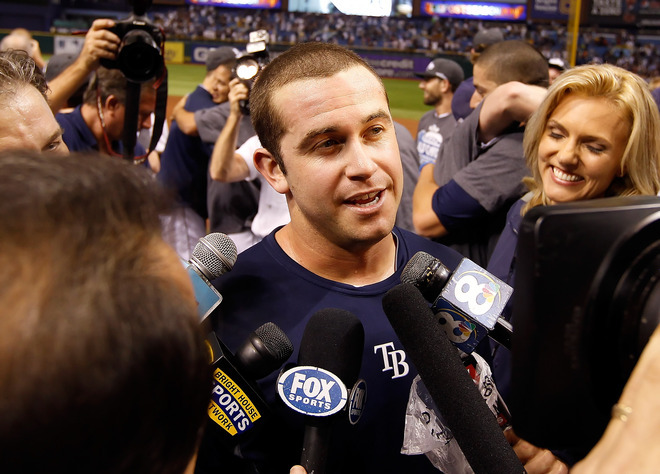 McGee will be in competition for a spot in the Rays Bullpen this Spring. He could make the Rays Opening Day roster with a solid Spring with an eye into taking a bigger role with the team by the end of the 2011. Every good outing is another notch on his belt to helping McGee possibly develop into the Rays future closer. 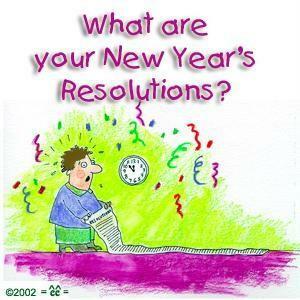 My second resolution for him is a double dose of the first one. 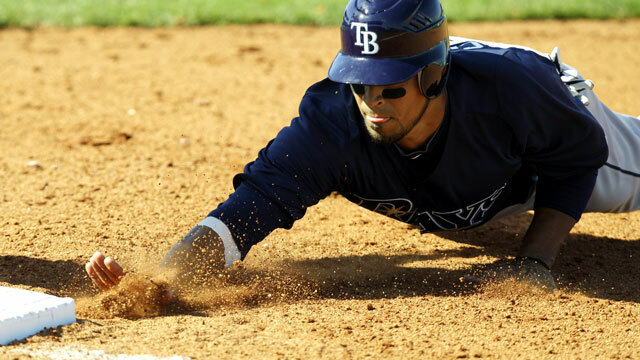 He is one of the future linchpins for the Rays. Desmond Jennings: My resolution for Jennings is for him to develop a thick skin for 2011. He will hear more than a few jeers about Carl Crawford. They key for Jennings might be to put an early exclamation point on his rookie season by showing the Rays outfield game will not take a step back this season. Playing his style of game without compromise will be the ultimate key for Jennings MLB survival in 2011. Dan Johnson: My resolve for DJ is that he finally feels he belongs in Tampa Bay. 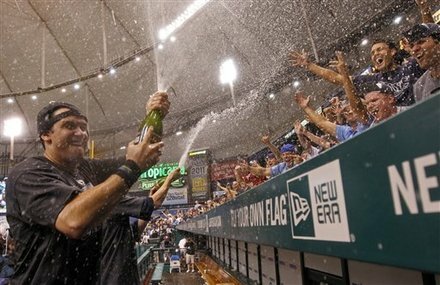 Johnson hit one of the more memorable Home Runs in Rays history back in 2008, but has never gained the Rays fans all out support. Whether he is at the DH spot or manning the First Base bag, Johnson needs to announce his presence with authority. A big first month impression can do wonders in silencing the Pena critics. Secondly, DJ, we have to get you a good MP3 file so we can pick you a better walk-up song than “The Safety Dance” by Men Without Hats. It is catchy, but it drives me simply insane trying to not stand up and do the dance mannerisms…Seriously! Sean Rodriguez: My resolution for S-Rod is that he can finally feel secure at Second Base for the Rays. We all know he has mad skills all over the diamond, but I would love for him to find a root system at Second. His timely hits and great defensive presence is a testament to his work ethic and his talents. My second resolution for Rodriguez is that someone teach him the “Stingray Shuffle” this Spring so that we do not have to worry about his Gulf of Mexico activities on Rays home off days. There are so many other Rays players in the Rays roster that need to have great resolute seasons to put their name on the lips of the baseball public in 2011. 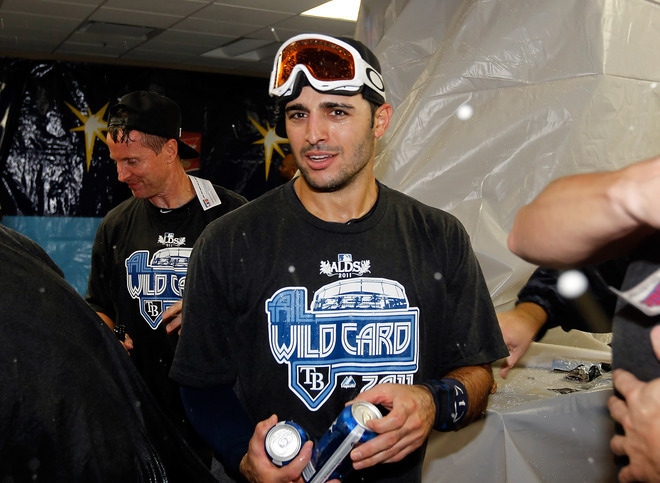 Hope you enjoyed my small journey into some of my hopes and wants for the Rays in 2011. 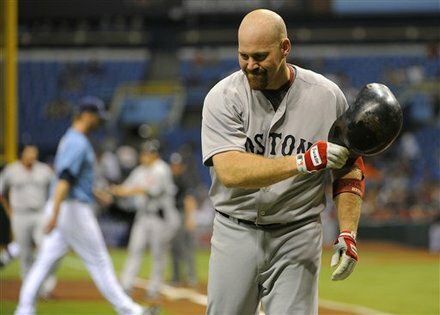 There is a link attached to each players charity if you would like to explore and learn more about their efforts outside of the ballpark to help those in and around our baseball world. The more you watch him play, the more you seem to visualize the hidden persona that is within Tampa Bay Rays rookie catcher John Jaso. There is a cerebral side to him that only a select fraction of friends of Rays fans have ever seen off the field because Jaso is a bit different that the catching norm when it comes to usual physical demands of a Major League catcher. It is common knowledge that to play behind Home Plate and take the constant hammering catcher do on a daily basis from errant breaking balls and foul tips you got to have a few screws loose. But maybe Jaso’s nuts and bolts are tighter than you think. Here is a rookie ballplayer who is so “green” conscious that several times during the 2010 MLB season he had a friend drop him off at the back gate entrance to Tropicana Field to carpool or save energy. But that isn’t the only quality that makes this young catcher unique. Then again, don’t get caught up in the old analogy that Jaso is one of those enigmas wrapped in a riddle, that usually sits behind the plate for Jaso’s sin or folly is actually that he is just a little more mathematically inclined than most of his catching brethren. On more than one occasion during his rookie campaign with the Rays, Jaso has vocalized his future aspiration of possibly becoming a mathematics teacher after his playing days are finished. I can easily imagine Jaso walking around a high school or university classroom entrancing his students with his profound joy of analytical equations and formulas and professing to the invisible magic that lives among the numerals that most of us only love to see on our weekly paychecks. You could easily see someone with the passion and excitement of numbers like Jaso possibly changing many young lives with just a few paragraphs about algorithms. But right now he is trying to change a few lives with his bat and his play behind the plate for the Rays. And it works to Jaso’s advantage that mathematics plays such a central component of his life. The art of catching in the Major Leagues is a position ultimately steeped in game time probabilities and a everlasting sea of predictable percentages. With Jaso’s ease at taking in large quantities of numbers and simultaneously filtering out the mundane and unusable with quick precision, it will make him more in tune with his game day play calling duties behind the plate. With a razor sharp mind based firmly within the guidelines of logic and statistical reasoning, it makes him a clear asset for the Rays, especially at a key defensive play-calling position like catcher. Even on the offensive side of the game Jaso has taken the usual boring pitching charts and reports and deciphered this information to solidify his place on this team as an offensive weapon. For years the Rays have coveted a catcher who could also hit for average and take a patient stance at the plate. 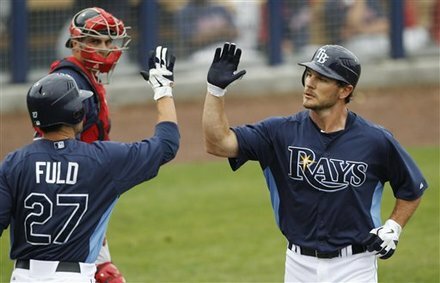 Jaso has delivered on both counts and also filled an unusual need for the Rays. Jaso is not your prototypical MLB lead-off hitter, but Rays Manager Joe Maddon used a few of his own mathematical equations to consider his young catcher for the lead-off spot in the Rays line-up 45 times during 2010 season. To show the rarity of putting a catcher at the top spot, only a pair of fellow backstops Jason Kendall and Rollie Hemsley have graced the top of their team’s line-ups as often as Jaso did in 2010. Want to put Jaso’s lead-off status into a more funneled down wisp of probabilities and clarity? No other rookie has ever started more games catching and batted lead-off in one season than Jaso. Sure he might have only started 41 times behind the plate and hit lead-off in 2010, but that mark completely destroyed the previous record held by Hall of Famer and former Philadelphia A’s catcher Mickey Cochrane who held the previous mark of hitting in the lead-off spot only 13 times in 1925. All of this statistical brilliance might not have evolved if Jaso had not had an open mind to change this past Spring in Port Charlotte, Florida. It was during the early stages just after Jaso reported along with the Rays roster of invited pitchers’ and catchers’ that the Rays staff sat down with Jaso and explained that his probable chances of him making and retaining a spot with the Rays unless he devoting some extra time and energy to revamping and reformulating his catching basics behind the plate. Jaso needed to quickly subtract a few bad habits and add a few more wrinkles to his current catching foundation. 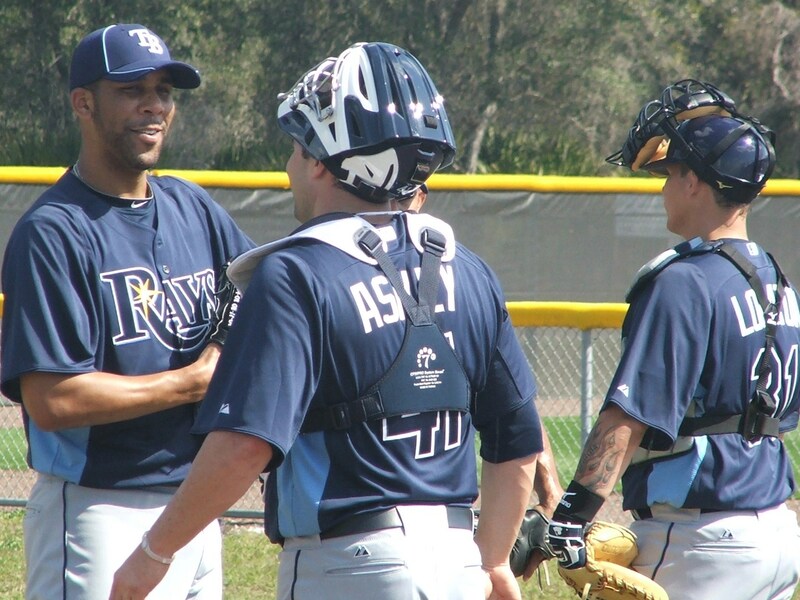 With the help of Rays Bullpen Catcher Scott Cursi and Rays Bullpen Coach Bobby Ramos, Jaso began a intense and prolific change to his overall catching style. By infusing a quicker throwing style and more profound blocking techniques, it easily multiplied Jaso’s overall chance to finally aspire to the Major League level. Jaso quickly adapted and performed his changes with precision and became more acquainted to his new stances and throwing motion. Even with his quick renovation to his catching persona, the Rays still had Jaso start the season with the Rays Triple-A club, the Durham Bulls. 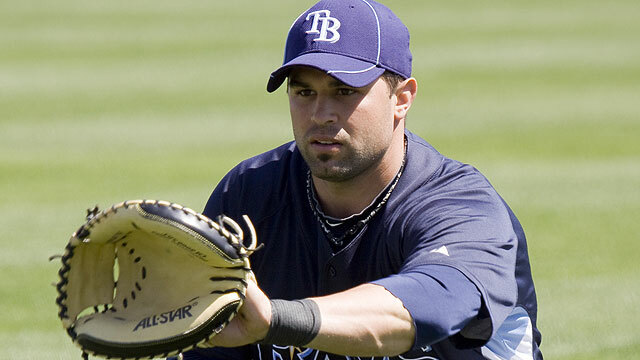 But when Shoppach went down with a knee injury, Jaso was quickly recalled from the Bulls on April 13, 2010 and became a key member of the Rays catching equation. Jaso still shows signs of falling back into bad habits behind the plate on breaking pitches in the dirt, or holding onto foul tips. But he showed the initiative of picking the brain of Ramos and Cursi in further developing his overall catching and his ability to show improvements on a daily basis were quickly noticed by Maddon and his Coaching staff. *** Jaso’s 59 walks in 2010 led all American League rookies in that category and beat the previous Rays rookie record set by Akinora Iwamura set in 2007 by one lone walk. *** No one in Major League Baseball had a better walk to strikeout ratio (59-39) than Jaso in his 339 plate appearances. *** The last American League rookie catcher to finish the season with a OBP ( .372 ) as high as Jaso’s (min 100 games) was New York Yankee great Thurman Munson with a .386 OBP in 1970. *** Jaso finished in fifth place in the 2010 AL Rookie of the Year voting garnering only a single third place vote. That put him right on the heels of fellow Rays starter Wade Davis who finished in fourth place, but Davis’s tally only included fourth place votes (11). Mathematics has always been a key component to Jaso’s life off the diamond. And now his love of numbers and probabilities is also starting to help him control his fate on the field. Jaso was a career .291 hitter in the minors for the Rays, and his bat has never been seen as a negative element for him. Playing the odds and taking calculated risks have come out to his advantage during his rookie season. If Jaso can keep his analytical mind trained on his hitting, and keeps evolving defensively behind the plate, the Rays might have finally found the all around catcher that they have been searching for. I could see Jaso standing in front of an auditorium or classroom with his trademark post-game Birkenstocks with his excited voice bellowing through the room about the symbolic notations of mathematic principles and the simple origins of numerals. But all that will have to wait as Jaso took full advantage of the opportunity presented to him this last Spring by the Rays to heart to change his catching style. Maybe Jaso has finally found a feasible conclusion to his personal internal algorithm with a future in the Major Leagues. With more Summers in the Sun predicted for Jaso, it should give him more than ample time to finally come to that long sought after analytical final conclusion that his career in the Major Leagues might just be the best mathematical solution Jaso has ever solved. 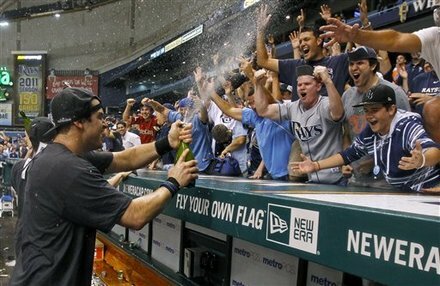 John Jaso + Rays =Success. I am not sure why it is that in baseball, everyone seems to have to have a nickname. For some ungodly reason they have to have a secondary name plastered to them to solidify their inner baseball being, plus the fact that inside jokes tend to run the gambit here. They can be as simple as a name play on someone’s name, or could be a direct correlation to an event within the sanctum of the baseball society, but everyone has to have that ” alter ego” to play the game. On the Tampa Bay Rays there is the names like “Big Game” (Shields) or “Zorilla” (Zobrist) and the always cool and sophisticated “‘Los”. I mean every player that is on the Rays roster has some sort of moniker pushed onto them by either the fans, media or even team mate, and eventually it begins to stick and they respond when you callout these names to them. Some take some hard work into the background stories like “Bossman Junior“( Upton) or even “Dirtbag” (Longoria), but after the long search and research about these names, you see a level of respect and admiration thrust upon the names and the players you might not initially thought would be possible. But then you get the clever ones who partake in a more intellectual attempt at procuring their names to maybe use a dual advantage like Wade Davis acquiring the number 40 jersey so you could use his initials and his jersey number to thrust up a kinship to America’s #1 lubricant ( WD-40). Then for some odd reason names also tend to evolve during a player’s career and get adapted to define a moment or action that characteristic to that player like the “Spitting Cobra” for the persistent spitting of resin from Rays starter Matt Garza’s mouth. But then there is the opposite effect of some of the shy members of the team that get adopted their natural state of origin like the “Tall Texan” (Niemann). Even the staff have their own nicknames and coy little turn of phrase namesakes like “Sugarbear” (Ramos), the “Professor” (Maddon) or even “The Enforcer” (Cursi). But that is what you expect from a group of people who are around each other for 162 games a year, plus Spring Training, and hopefully a month of great postseason action. But there is one member of the Rays who has gotten a name attached to them that I do not totally agree with at all. For some reason the media has pushed the “King” label onto this player when a more apt name can be devised and should be attached to his monetary persona. 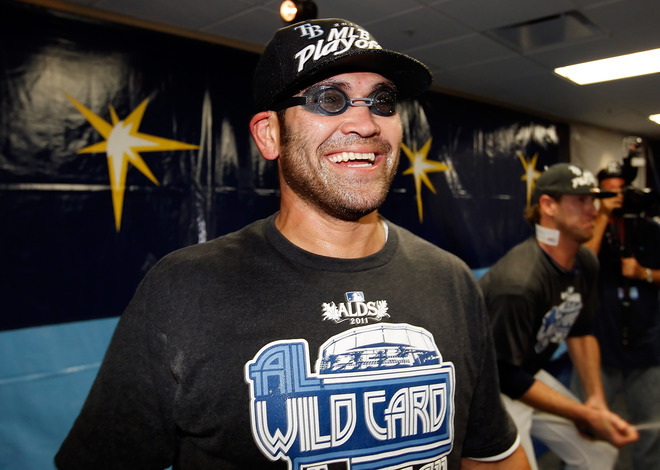 I really think attaching “King” to the front of Rays pitcher David Price’s name is a bit too…simple. And for the sake of argument, Seattle hurler Felix Hernandez had it first, and fit’s the crown more right now. With that in mind, then it is time to furnish Price with a more honorable moniker that fans, media and even his team mates can attached to his game persona and we all begin the long task of making sure it stays firmly on his presence for a long, long time. Most people know about Price’s obsession with the South East Asia delicacy known as Pho`. The body and broth of this amazing soup dish can be complex but simple with the addition or subtraction of its numerous ingredients. I know I heard a long oratory once where Price commented on a Pho` he got while the Rays were in Seattle, and it immediately pushed me towards a Chef and one of his common phrases as the perfect name for Price. Guy Fieri is the host of the Food Network shows “Guy’s Big Bite“, and the acclaimed series “Diners, Drive-Ins and Dives” , which I consider one of the best food shows ever to be created…bar none. With that in mind, I think we need to dissect the “King” that so many have attached to Price’s baseball persona and infuse another name that also speaks to one of Fieri’s most astounding phrases. It is a phrase that has taken in by the ethnic disparity of America and has been embraced and nurtured to become a part of our culture all with five little letters. The Fieri Flavortown dictionary defines this special word as being ” the top, providing a cranial obsessive formulation of superlatives and taste sensations that evoke a phrase of mass ingestion” . This phrase has been known to apply to food, an activity and even a sensual nature comparable to the human form. It is perfect the be reflected as a new Price nickname. And above all, it has a similar correlation to Price’s name that will only grow huge as his career evolves from today. Ladies and gentleman, boy and girls, I give you my new nickname for the southpaw who has taken us to new pitching heights within the Rays Republic and also strikes a chord with our heartstrings. My new choice for a nickname for man who could possibly be in the running for the 2010 Cy Young Award is…..(drum line music)…..”Money“. And if you really about it, ever since Price was selected as the First Pick of the 2008 MLB Draft, he has been banking and accumulating interest from fans, players and even small baseball fans into producing a windfall of pitching and inspirational moments. Price has simply been “Money” since the moment he put on a Rays uniform. How easy could this new nickname be adapted to Price as a further illustration to the total effect and admiration and respect the baseball community has for this budding left-handed star. Nicknames can be a true defining moment into a person’s personality and character. Just because Charlie Brown had a friend named “Pigpen” doesn’t mean he was defined by his surrounding cloud of filth and dirt. He also played a pretty mean third base on Brown’s baseball team. Some nicknames can be attached to a person to denote a negative or subversive memory in our daily consciousness pertaining to that individual. But for some reason, “Money” just seem to perfectly fir the persona and the perception of Price to me. Money grows in value, has times of influx and change, but always ends up coming out on top. 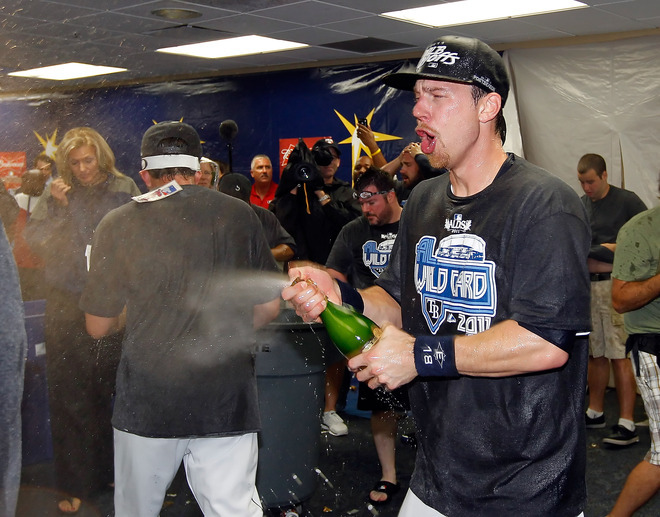 David “Money” Price….A name the entire Rays Republic can bank on to get the Rays through another postseason market of fluxuating circumstances with huge dividends. The evolution of the plain T-shirt has come a long way from its primary use as a undergarment. This button-less, collarless clothing item was originally just fashioned to cover the body’s torso with its generic rounded neck hole and short sleeves. Many fashion notables think the T-shirt craze exploded when the United States Navy adopted this outerwear as casual clothing following the Spanish American War. It made it possible for sailor to now “soil” their T-shirt instead of the uniform jacket while in warmer climates. After World War II, the T-shirt was worn by returning soldiers as daily outerwear while performing duties around the house, or in farming communities. But most think the true origin and National preference came after actor Marlon Brando wore a T-shirt in the film “Streetcar Named Desire”. After that film it was considered by many to be a fashion statement and an accepted garment to wear out and about doing daily activities. The transformations of the T-shirt from there have been swift and very visual for all of us to see…daily. From that moment on the T-shirt has transformed from a simple undergarment to prevent sweat stains on outerwear to the preferred clothing options within sports coats and on the film industries red carpet. From the tie-dye T-shirt to the invention of the silk screening process, this clothing item has been invented and reinvented several times until we finally get towards the most recent evolution of its creation, the designer T-shirt. So maybe it is only right that the one member of the Tampa Bay Rays roster who has shown a knack and a passion for not only wearing classic designer T-shirts, but also classic Rock and Roll T-shirts would set his sights on taking on the task of designing a special Rays edition T-shirt to be given out to Rays Republic fans. And we have all seen him before after games or at Rays events like Rays Fan Fest or the Season Ticket Party at Gameworks in recent years sporting his black “Motorhead” T-shirt. But then again, Rays pitcher James Shields was also the guest announcer during a segment of the Rays 2009 “Rays on the Runway” fashion show and showed his own sense of style and designer flair during that brief flash on your television screen. 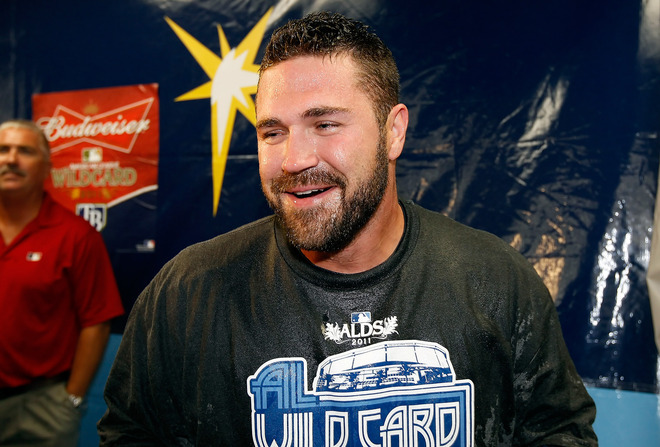 And with that passion now exposed, the Rays consulted with Shields about maybe designing a Rays custom collectible T-shirt to be given out during the Rays Friday night celebrations in 2010. Since the 1980’s, this form of clothing has been known to sport expressionistic ideals and images and was the perfect opportunity for Shields to show his skill in this avenue of fashion. Now this is not to suggest or introduce Shields as a T-shirt designer to the World, but is a great and special way for him to show his expression and passion for the game of baseball upon a cotton canvas. And Shields immediately chose his most famous T-shirt color, black as the base for his artistic T-shirt expression. When you first gaze upon the T-shirt you see instantly his style and his want to include baseball images and motifs intertwined in his design. From the lower cap lettering of “big game” under the front collarbone line to the induction of blue flames going outward from the center, you instantly got a Rock and Roll feel to the project. Then the central image of Shields in his on-the-mound pose right before he delivers a pitch, to the two flaming baseball skulls located around the bodies pectoral muscle region, the T-shirt instantly brings you into the design. And the use of the white to accent both the outline of Shields and the baseball skulls brings you instantly into that region of the T-shirt as it pops off the black T-shirt. The front design of the Shields inspired T-shirt ends about midway down with a scroll piecing that is center under Shields outline on the mound and includes his uniform number “33” in a blue lettering. And around the centralized design is blue hued artistic designs that also seems to push your eyes towards the center of the design. The back of the T-shirt also sports its own Shields inspired creation as his ever popular nickname set in uppercase lettering that is emblazed across the back upper shoulder region like his game day jersey. The moniker “Big Game” on the back of the T-shirt instantly pulls you into this region in silver ink and you also notice just below it the “TB” initials of the Tampa Bay Rays team. But the thing that might miss you eyes unless you turn the T-shirt upsides down might be the gigantic griffin, which has long been considered a symbol of power and strength. The griffin is a legendary creature with the body of a lion and the head of an eagle, which encompasses the king of beasts and birds into one animal entity. And the griffin illustrated on Shield’s T-shirt actually takes on the characteristics of a 15th Century alce or a keythong and the image is pronounced as if it was actually a coat of arms inspired design with a crown upon the griffin’s head. I got to say it personally is a unique and well designed T-shirt that will become an instant Rays collectors item, and one I think we might possibly see again in the future from Shields. But again it shows that each of these members of the Rays 25-man roster have outside interests that some of us might never know, or hear about unless it is brought to our attention or provided for all of us to marvel and enjoy also in life. Shields has a knack for designing, and might have been one of those kids who doodled a lot in class as a kid upon his notebooks or on sheets o paper. Talent can come in many forms. It can be a sports talent like Shields unique change-up that has buckled the knees of many Major League Baseball player, or it could be an artistic talent like his recent T-shirt design for the Rays fans. Who knows where this first inspiration by Shields will go from here. He could go on to producing a yearly special design or make it an off or in season project to help raise funds or involve the community to show support for a cause or an event. Major League Baseball players like Shields are all over the place. Most of the guys on the Rays 25-man roster have additional talents most of us might never know about unless they are shown or expressed to us fans. 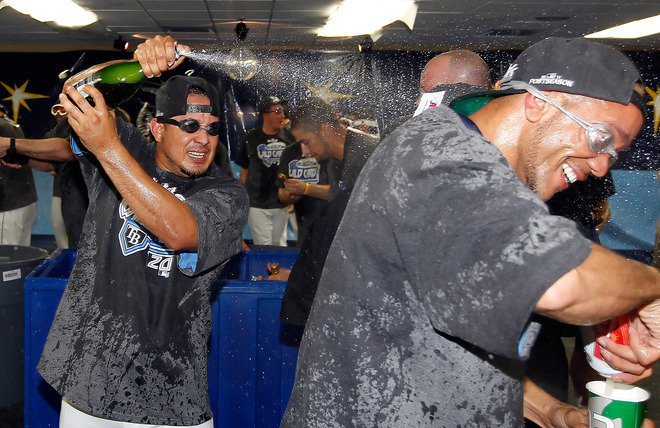 Fernando Perez has a special gift for writing, Carlos Pena is the fashion staple on the team, and we all know Rays bullpen Coach Bobby Ramos is the team dance instructor. Talents off the field help to endear us to our Rays players and it takes away that invisible barrier that makes them “off limits” or unapproachable to us. 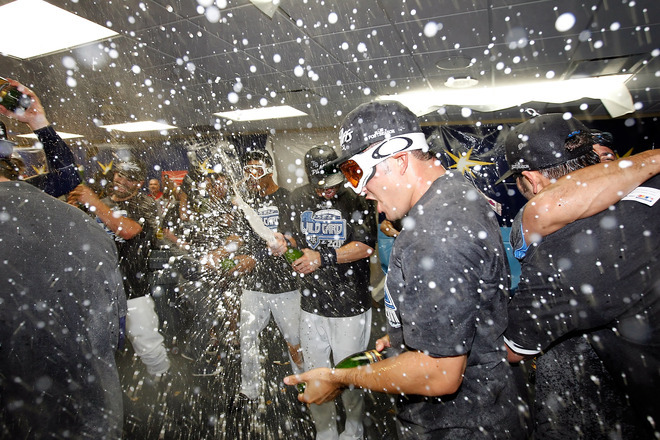 The Rays boast one of the most fan-friendly teams in Major League Baseball, but sometimes a little insight or exposure of the person within brings a new appreciation of that player to all of us. I know with Shields it showed a side of him you would not have imagined with the creation of this special James Shields inspired T-shirt. Hopefully this is not the first player that opens the door a bit to us in 2010 and shows us the level of talent this team has beyond the base paths and mound.